Come join us for Saturday @ 10:00 AM EST. We invite you to join us to worship our Aluhym, Yahuah and his Son, Yahusha HaMashiach through the Ruach Ah Qudesh, via zoom video/phone Shabbat (Sabbath) call. So no matter where you are, you can join us along with the family around your computer, tablet or a speaker phone. Somewhere you can relax by yourself in the comfort of your home, and really focus on Worshiping him in Ruach (Spirit) and in Truth, so we can experience a more intimate relationship with our Heavenly Father. Join us on your Computer or Tablet by downloading the Zoom software via: https://zoom.us/signup . We will provide you with the password for the the group meeting once we have a chance to speak with you as required by our fellowship. ​Since this is a set apart worship group, we like to screen who we allow into our fellowship, as to protect our members from outside disturbances during this time of worship, praise and fellowship. If you wish to join us, you will need to speak with one of our Elders first to be invited to join us. To schedule a time to speak with someone please send us an e-mail at Yahuahkingdom@gmail.com, so we can schedule a time for direct communication. We look forward to speaking with you, Shalum. 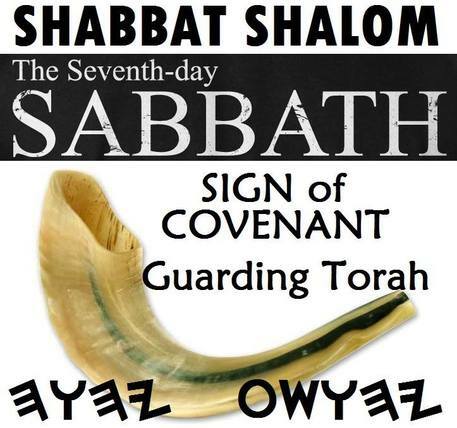 Scripture clearly says that the seventh (7) day of the week is the Sabbath of Yahuah our Aluahym. On this day we are commanded to rest from our labors and worship Yahuah, following the teachings and example of Yahusha, the apostles and the New Testament Church. Yahuah is the only one who can make anything Kadosh (holy). Men and women can dedicate time to Yahuah for a special purpose, but Yahuah alone can set time aside as Set Apart/Holy. Yahuah gave instructions concerning the observance of the Sabbath in Exodus 20:8 when he gave the 4th of the 10 commandments. Man is to "remember the Sabbath day, to keep it Kadosh (holy)." Man remembers and follows the Sabbath by worshiping and resting on the seventh day. As true believers follow this pattern, they are following the example of their Creator and are reminded of the one who created them. *** This is not a Religious ceremony, only Yahuah worship music, ushering you into the presence of Yahuah, where he invites you into his throne room, his Sanctuary, where you leave all your troubles and worries at the door, to set you free from the stresses of this Life! He invites you into his Shalom, his Peace, where you are free to Worship him with your entire Ruach (Spirit). Come experience something created specifically for you to attend, it is so important, that you are Commanded to attend! *** This Special event is His Sabbath!!! Shabbat (Rest) & Shalum (Peace)!!! This Day was created especially for you and me, we were not created for this Day. Yahuah could have established 6 days, but he created the 7th Day especially for you to escape the troubles, worries and struggles of every day life! Yahuah created this day as a porthole, which leads you directly into his Presence, His Throne room, his Sanctuary, enter into his Shabbat (Rest), Shalom (Peace) & His Ahuah (Love)!!! You get to leave this world behind and it becomes the day you most look forward to each week and Hate to see it end. It is not a burden, it is a Gift!!! HallaluYAH.